This Handbook contains information for students currently undertaking international and European study. All students are encouraged to become familiar with this handbook because it is useful to qualify the students for direction and organization positions inside public administration through the key words knowledge of the European Union law and International relations of UE, treaties and legislation, such as regulations and directives, which have direct effect or indirect effect on the laws of European Union member states. 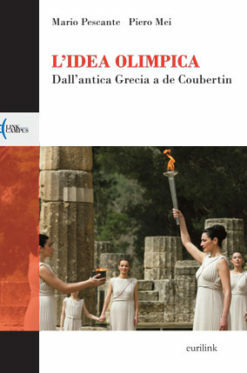 This Hand­book con­tains infor­ma­tion for stu­dents cur­rent­ly under­tak­ing inter­na­tion­al and Euro­pean study. All stu­dents are encour­aged to become famil­iar with this hand­book because it is use­ful to qual­i­fy the stu­dents for direc­tion and orga­ni­za­tion posi­tions inside pub­lic admin­is­tra­tion through the key words knowl­edge of the Euro­pean Union law and Inter­na­tion­al rela­tions of UE, treaties and leg­is­la­tion, such as reg­u­la­tions and direc­tives, which have direct effect or indi­rect effect on the laws of Euro­pean Union mem­ber states. There­fore, they will find the course rules and unit of study require­ments need­ed to com­plete the stud­ies in Euro­pean Union Law and Inter­na­tion­al rela­tions. In par­tic­u­lar, the mul­ti­dis­ci­pli­nary exper­tise will be impor­tant for the analy­sis and man­age­ment of juridi­cal, his­tor­i­cal, polit­i­cal, and insti­tu­tion­al prob­lems with­in Europe and with spe­cif­ic ref­er­ence to Euro­pean Union and to modes of inte­gra­tion and coop­er­a­tion process­es and includ­ing also some sig­nif­i­cant EU maps. 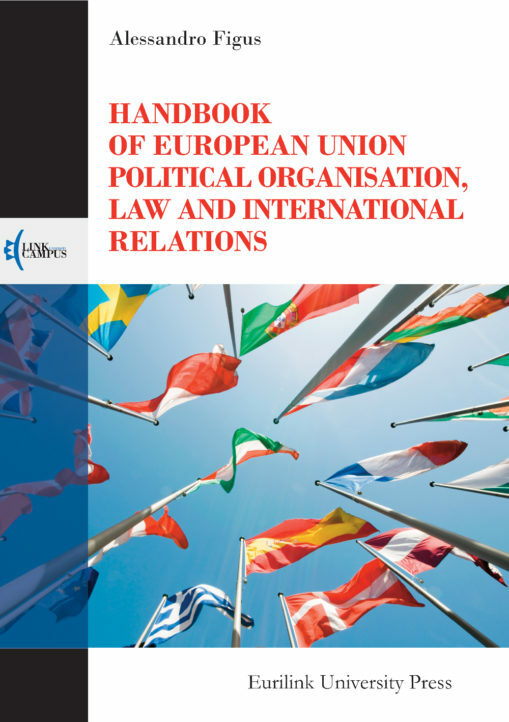 Alessan­dro Figus is Pro­fes­sor of Polit­i­cal Sci­ence, Inter­na­tion­al rela­tions and Euro­pean Union law, Chair­man of the Eras­mus Depart­ment of the Link Cam­pus Uni­ver­si­ty. He is Vice- Rec­tor for Inter­na­tion­al Affairs and Euro­pean Inte­gra­tion at the Inter­na­tion­al Man­age­ment Insti­tute IMI-Nova in Moldo­va. He grad­u­at­ed from the Uni­ver­si­ty of Genoa (1979), he was in 2005 Doc­tor Hon­oris Causa in Moldo­va, he is hon­orary pro­fes­sor of Ped­a­gog­i­cal State Uni­ver­si­ty of Berdyan­sk (2015, Ukr) and Eurasian Uni­ver­si­ty (2015, Baku, Azb), then he is grad­u­at­ed PhD in SP from the Uni­ver­si­ty of Nice France, with sub­se­quent peri­ods of study at Paris, Glas­gow, Tralee, Cairo, Seville, Sheffield, War­saw, Koblenz-Lan­dau and Moscow, he has been a Vis­it­ing Pro­fes­sor in more than 20 Uni­ver­si­ties. He is jour­nal­ist, Ital­ian Cor­re­spon­dent of Xalq qazeti, the news­pa­per of the Pres­i­dent of Repub­lic of Azer­bai­jan, he is mem­ber of impor­tant Sci­en­tif­ic Jour­nals, he is author of more than 20 Mono­gra­phies and more than one hun­dred sci­en­tif­ic arti­cles. 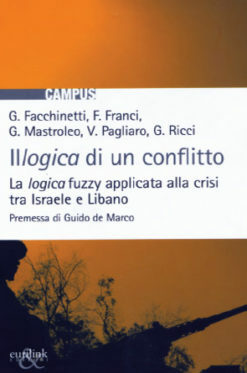 Questo libro parla della crisi tra Israele e Libano e parla di matematica. Piuttosto che un insieme di formule e numeri, tuttavia, il lettore troverà nelle sue pagine un nuovo approccio scientifico. 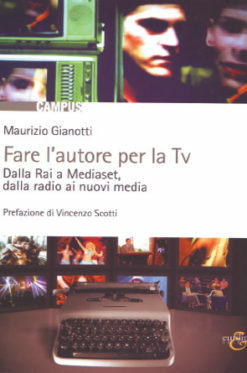 Una innovativa teoria di logica matematica (la fuzzy logic, o logica sfumata) che, applicata allo scenario mediorientale, si dimostra uno strumento decisivo nelle mani della diplomazia e della politica. 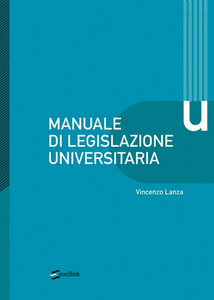 Il volume si presenta come un piccolo manuale di pronta e agevole consultazione contenente le informazioni e i dati principali circa le relazioni tra la comunità politica e le confessioni religiose, volto principalmente agli studenti. 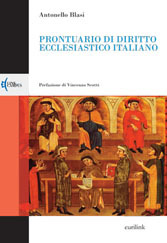 Dopo una sintetica esposizione dei principi fondanti la materia, sono riportate una serie di fonti del diritto ecclesiastico che hanno segnato le relazioni tra lo Stato Italiano e la Chiesa cristiana Cattolica, sempre citate ma non altrettanto conosciute “de visu”.